Weeks after making the announcement about their annual Big Jam concert series, Chicago's WGCI has now added more artists to their lineup. According to their social media page, Lil Uzi Vert and H.E.R. 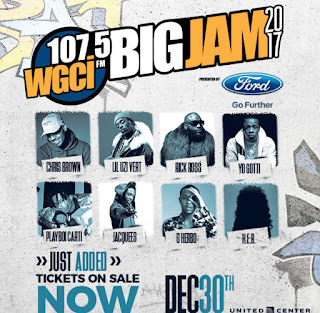 are now scheduled to perform at this year's event, which will take place on December 30th at the United Center. The event also includes Chris Brown, Rick Ross, Yo Gotti, Jacquees and more. It's been 29 years since Michael Jordan won the crowd at the Slam Dunk Contest, during NBA All-star Weekend at the Chicago Stadium and now it's coming back. Come 2020, the City of Chicago will host the NBA All-star Game for the third time. 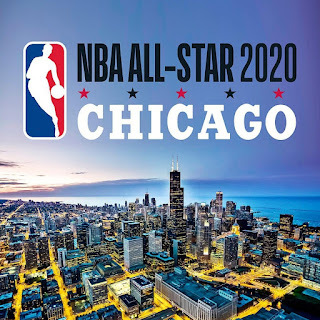 The announcement was made on Friday, Nov. 10 by NBA Commissioner Adam Silver and Mayor Rahm Emanuel and the event will take place at the United Center. 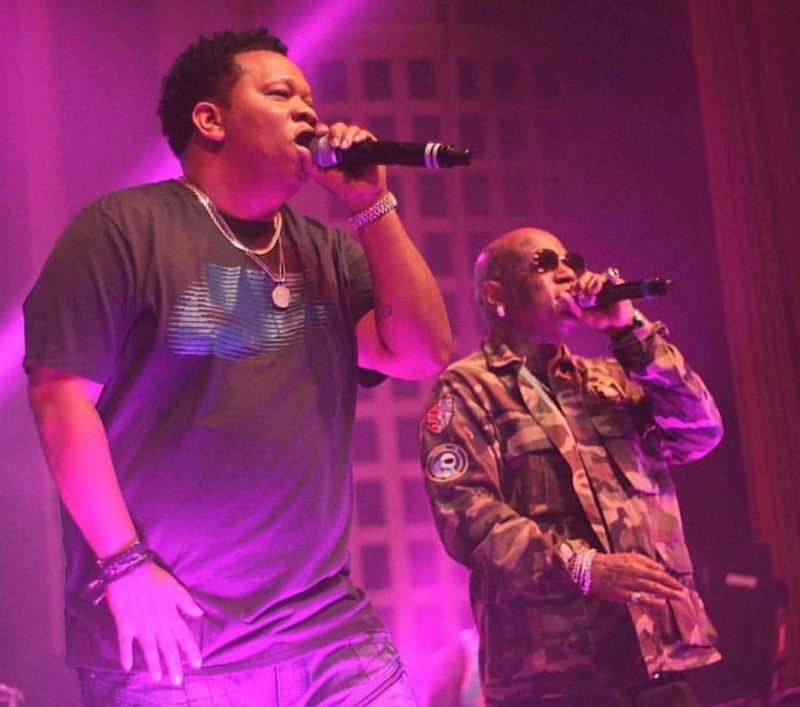 This past weekend, in the City of Chi, Cash Money's Birdman and Mannie Fresh reunited to celebrate 20 years, in the game, as the Big Tymers. They also stopped in town to perform for Fakeshore Drive's 10 year anniversary party presented by Red Bull. The event took place at Portage Theater and it was packed with fans. Check out the recap after the jump and don't forget to share all of your comments. After taking a small hiatus, Yeezus Season has returned. 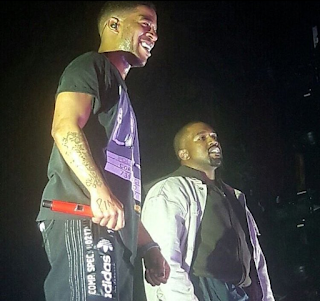 Last night, Kanye West made a surprise appearance at Kid Cudi's show in Chicago. The event took place at the Aragon Ballroom on the City's Northside and they both performed "Father Stretch My Hands" from Ye's The Life of Pablo album. It's back!!! 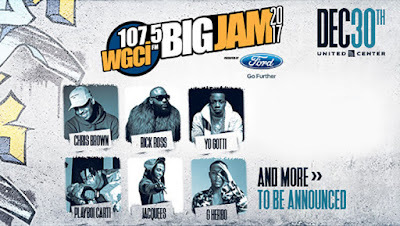 Chicago's 107.5 WGCI is gearing up for another installment of their Big Jam concert series. 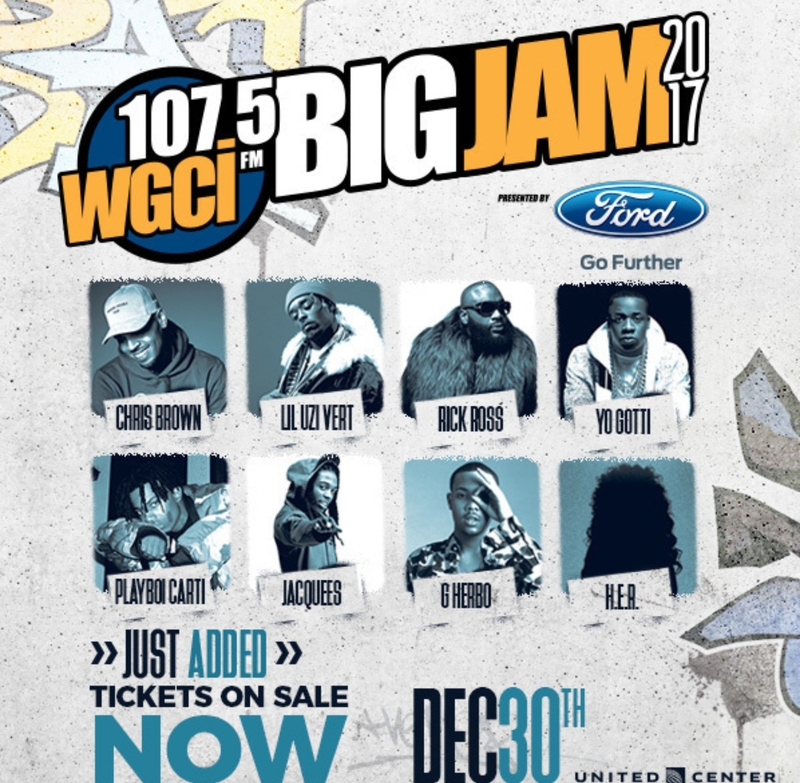 The Hip Hop and R&B radio station made the announcement this morning during their morning show and the event is scheduled to take place at the United Center on December 30th. It's set to headline Chris Brown and it will also star Rick Ross, Yo Gotti, Jacquees, G Herbo, and many more. Pre-sale tickets will go on sale Friday, November 3rd and general admission tickets are set for November 4th.